Landscaped linear park on the rear side. We know you are looking for an appealing home. 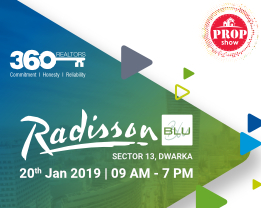 So come to our grand property show at the Radisson Blu, Sector 13 Dwarka on January 20th and grab a look at amazing projects from bigwigs such as Emaar, Vatika, Raheja, Shapoorji Pallonji and Hero Homes. Join us for the mega event from 9:00 a.m. - 6:00 p.m. to choose your perfect home and get big bargains that are waiting just for you. We look forward to meeting you on the big day. See you there!